Kenny Irwin is an artist with a strange medium—microwaved plastic. 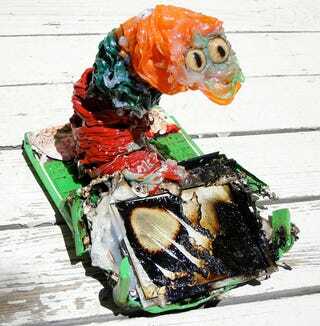 His latest creation started out as an OLPC, but ended up looking like a slug made out of sushi. Did I mention that you could actually own this thing?